Joel vander Loon, survival expert/adventurer, and Ryder Redfield photographer/adventurer, set out to challenge themselves both physically and mentally by taking no food and minimal gear on a stand up paddle board expedition tackling the remote coastline of the Sea of Cortez, Baja, in the middle of winter. The starting point was Punta Final and we headed southbound. The only gear taken was a knife, pole spear, mask, inflatable solar still, 30 liters of water, army bivouac, four feet of para cord, a first aid kit and a spot tracker. Fueled by excitement and the previous night’s dinner, the guys were in the water at 9am and put in five hours of paddling on day one before setting up camp in a small rocky bay. Conditions were good, however they only covered six miles! The weight on the boards, current, and slight headwind proved to be more of a challenge than what was anticipated. Day two and another five hours of paddling, 3-6ft seas, and 25 knots of North Easterly winds forced the twosome to make landfall through pounding surf onto a rocky beach. They both capsized and suffered minor injuries, broken gear straps, and worst of all a damaged solar still. There is no potable water on this coastline and this was their lifeline to desalinate sea water into drinkable fresh water. Cold and wet, it was clear that the necessity was to get warm quickly. Ryder made a clearing for a shelter under a cluster of acacia brush and created bedding using desert pine branches. Joel used driftwood to make a bow drill fire. Reflector walls were used to capture the fire's radiant heat as their primary means to stay warm during the strong nightly offshore breezes. After referring to a printed google earth map Joel and Ryder plotted themselves 12 miles south of the starting point. Unfortunately, that is less than half the distance they had expected. The plan was to have a boat pick them up if they did not make it to Bahia de los Angeles, the finishing point, by day eight. It was now clear that they had insufficient water to make that distance, and would certainly not make the deadline. Day three objective: rest their bodies and replace calories. The morning presented clear skies and flat seas. Joel pushed through an hour of spearfishing in 60’F water to muster up six scallops and five fish, however with no wetsuit this put him into a mildly hypothermic state which took an hour to rectify with close proximity to the fire. Lunch was then prepared over fire by roasting the fish whole, boiling the scallops in the shells, and preserving the remaining fish into fish jerky by smoking over the fire. Day four objective: make the right decision! Three days of drinking water remain with strong winds and rough seas again. They could not paddle North due to the weather and Southbound progress presented much risk due to drinking water stores and pushing deeper into isolation (the Asamblea mountain range restricts road access to the coastline). The only choice was to head inland. Joel had set some primitive traps that morning as jack rabbits and rodents were spotted as potential food sources. The Coyotes however, got to the fish remains used as bait before anything else could. A roasted grasshopper would have to settle for the day’s meal. Day five objective: Make it to safety! With gear and boards hidden among a brush patch and armed with the remaining water and the biveys, the hike inland began. Joel and Ryder followed a primitive track which most likely was created by drug traffickers to access the coastline. Using the sun as reference they headed west. They were aiming for the Calamajue road, estimated around 13 miles away, which would lead them back to the main road and to safety. After five hours of hiking through barren desert they found it. Amazingly they were picked up by a car with two men that had been gathering clam shells in Calamajue and got dropped off at the main road which was 20 miles away. It took the rest of the day to hitch hike back to Bahia de los Angeles where they could enjoy a Pacifico beer and fish tacos. Overall, the coastline proved to be inhospitable with limited vegetation, a desolate mountainous landscape and rocky beaches littered with the skeletal remains of marine mammals. Coyotes routinely prowled the beaches for washed up remains, and the desert terrain was infested with scorpion burrows. The sub-freezing temperatures and wind chill factors fluctuated drastically from sunrise to sunset making shelter and fire a necessity, sleep was achieved in hourly intervals dictated by maintaining the fire. According to multiple sources this location is used by Mexican drug traffickers and it is not recommended for visitors. Joel and Ryder came out humbled by the experience and plan to tackle it again with a slightly different angle at a warmer time of year. The two would like to thank San Diego paddlers for the borrowed boards and MSR for the phenomenal dromedaries that withstood a lot of rough use and never leaked a drop. In addition, if anyone is interested in doing a survival course they can contact Joel vander Loon HERE. To see more photos from photographer Ryder Redfield, Click HERE. 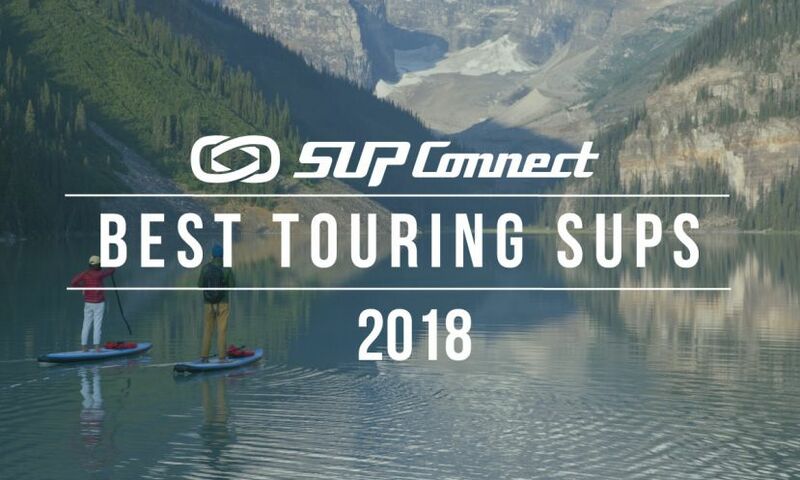 Take a look at more SUP Expeditions and Journeys HERE.